[T]he clear, alarming picture that emerges from the evidence... is that while the reading demands of college, workforce training programs, and citizenship have held steady or risen over the past fifty years or so, K–12 texts have, if anything, become less demanding. This finding is the impetus behind the Standards’ strong emphasis on increasing text complexity as a key requirement in reading. As I have discussed in previous posts here, here and here, this Common Core call for employing more complex texts has led to much confusion and inappropriate instruction. The statement is also demonstrably wrong when it comes to readability on the K-3 level. There is, however, another issue related to text complexity that I have yet to see anyone explore in the Common Core context. Text complexity is not an unqualified good. Indeed, it may be more reflective of the writer than of the reader. Just what is the responsibility of the author to the reader when writing any text? Any act of reading is by definition an effort by a reader to comprehend, but it is also an attempt by a writer to be understood. There exists, in what Louise Rosenblatt has called the reading "transaction", an implicit contract between writer and reader. The writer promises to make every effort to be understood and the reader promises to make every effort to understand. So, if a reader's comprehension breaks down when faced with a complex text, is that a failing of the reader or a failing of the writer or a little bit of both? Nathaniel Hawthorne said, "Easy reading is damned hard writing." Shouldn't a reader expect the writer to put in the effort to write clearly, so that complexity is primarily a matter of the concepts discussed and not a product of the limitations of the writer? What makes a text complex? Zhihui Fang and Barbara G. Pace (2013) have identified five factors that make a text complex. Grammatical metaphors are linguistic choices that a writer makes to communicate meaning in an atypical way. Instead of saying "the businesses failed and slowed down", the writer chooses to say "business failures and slowdowns." These atypical structures may make the text harder for a reader to comprehend. What I have tried to demonstrate here is that most of what makes a nonfiction text complex is rooted in choices that the author makes that may present special challenges to the reader. I believe that the writer, however, has an obligation to consider the reader in making these decisions. Musing on this issue took me back to some reading I had done long ago in graduate school about a concept called considerate text. Coherence needs a bit of explanation. Armbruster and Anderson identify two types of coherence. First , there is global coherence, which describes the overall organizational structures of the text. Regular discernible structures, where the main idea and supporting details are easily identified, make for considerate text. Local coherence allows the reader to integrate ideas within and between sentences. The skillful use of conjunctions, transition words and clear pronoun referents make a text locally coherent. Reading problems may arise when connections between sentences or between paragraphs are not clear. As you can see text complexity and considerate text have many intersections and at the point of those intersections stands the writer. To what extent is the reader to be held accountable for the writer's limitations? Text book authors and editors have a responsibility to produce text that is considerate of the reader. This is not dumbing down readability as Appendix A of the Common Core suggests, but it is practicing skilled writing and targeting that writing to the correct audience. Teachers and curriculum directors need to choose text books and supporting readings that are appropriately considerate of the target readers. Reading material can be both considerate and appropriately informative. At times, of course, students will need to read complex text, because not all writers are as skilled or considerate as others. Teachers need to learn to recognize those elements of a text that make the text complex and plan activities that will help students deal with the complexity. Such activities would include preteaching vocabulary, paraphrasing grammatical metaphors and analyzing grammatically intricate sentences to unpack the meaning. Forcing students to read more and more complex text under the pretext of college readiness is a mistaken idea. 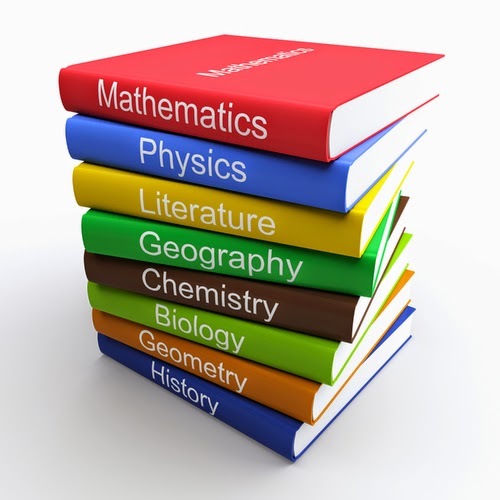 The best preparation for successful reading in college is lots of successful reading experiences in elementary, middle and high school and lots of good instruction in making meaning from a wide variety of texts. In the meantime, it might be a good idea to ask those who write text books for college students to do the hard work necessary to write considerate text.